China has given the clearest indication yet that it is planning to promote natural substitutes for HCFCs at the expense of HFCs, after publishing a list of ‘recommended substitutes for HCFCs’ featuring over 80% natural products. According to market intelligence firm CCM, the publication of the list is likely to be followed by more substantial policies promoting natural refrigerants, detergents and foaming agents over the coming years. The First Catalogue of Recommended Substitutes for HCFCs was published on June 5 by China’s Foreign Economic Cooperation Office, Ministry of Environmental Protection (FECO). FECO officials announced that the Catalogue was the product of extensive research into policies to transition away from HCFCs and fulfil China’s obligations under the Montreal Protocol. The government is currently soliciting public opinion on the Catalogue and will continue to collect opinions from stakeholders until June 30. Of the twelve substitutes included in the Catalogue, ten are natural chemicals and only one is an HFC, a clear indication of the government’s mindset as China begins the move towards eliminating HCFCs. The Catalogue is intended to be merely a general indication of the Chinese government’s intentions and will not include any practical policies to support natural substitutes for HCFCs. However, recent history suggests that more practical measures are likely to follow in the near future. 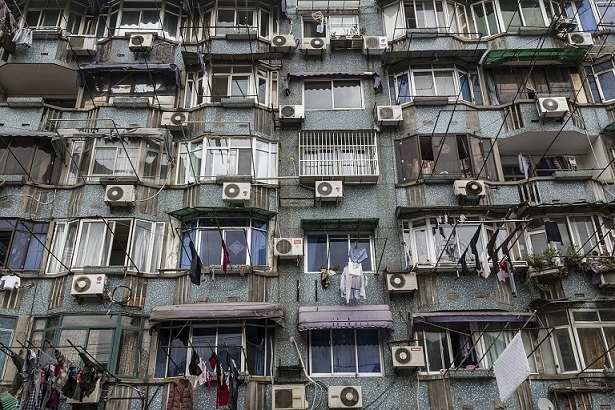 When China announced that it intended to promote R290 as a replacement for R22 in domestic air conditioners in 2012, several supportive policies were introduced soon after, including an agreement to help air conditioner manufacturers overhaul their production lines in 2013, new subsidies for the production and marketing of air conditioners using R290 from 2014, and the introduction of a new ‘Environmental Protection and Low Carbon Label’ in 2015 to encourage consumers to choose green air conditioners. The policies have proved to be very effective, with Gree Electric Appliances and Haier Group – two of China’s leading air conditioner manufacturers – announcing the launch of new R290 products this year. Considering the scale of investment needed for production overhauls, product re-designs and overcoming various technical difficulties such as increased flammability of R290 air conditioners, making this transition in just three years is an impressive achievement. A knockout blow for China’s HFC industry? The presence of only one HFC in the Catalogue will be a severe blow to China’s already-struggling HFC industry. HFCs have made solid progress in the Chinese market as substitutes for HCFCs – HFC-134a currently dominate the vehicle air conditioner market, HFC-410a use has almost surpassed that of HCFCs in domestic air conditioners, and HFCs also have a significant presence in the foaming agents and detergents markets. However, severe overcapacity has made life increasingly difficult for producers. In the HFC-134a industry, for example, operating rates have fallen over 30% since 2012 and are currently under 50%, while prices have fallen by 300% over the same period, according to CCM’s research. The only route out of this situation for the HFC industry is through increasing demand, but this will be very difficult following the publication of the Catalogue. With the full weight of government support behind them, natural refrigerants, detergents and foaming agents are likely to increase their market share in China substantially over the next few years. For more information about CCM and our coverage of China’s chemicals market, please visit www.cnchemicals.com or get in touch with us directly by emailing econtact@cnchemicals.com or calling + 86-20-37616606.